The modern contact centre provides a choice of channels for customers to contact you and an intelligent platform that empowers agents with the right tools and knowledge to serve those customers. Vocalcom is a global provider of cloud based contact centre technology which helps businesses win more customers, deliver faster, smarter service. Used by 550,000+ users for its innovative design and useful functionality, Vocalcom powers 3,600+ companies worldwide such as McDonald’s and Disney. Vocalcom provides advanced inbound routing, a predictive outbound dialer as well as a blended operation of the two. 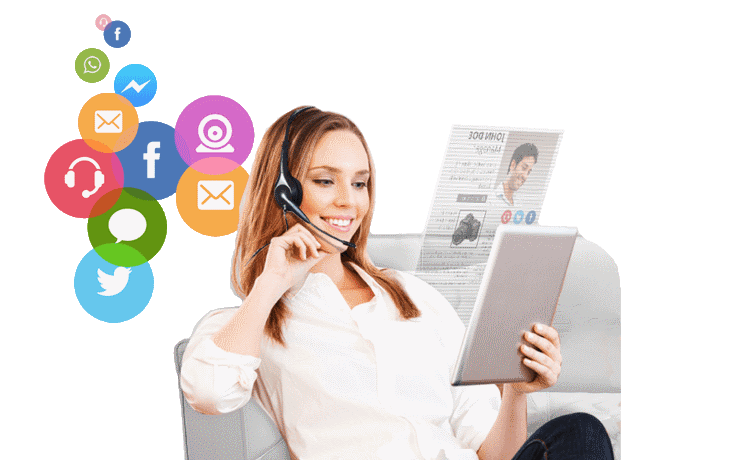 The omni-channel capability supports voice, web chat, mobile and social media integration to make it easy for customers to interact. Noojee Contact Solutions is an Australian high performance call centre software provider, supporting small to mid-sized businesses with inbound, outbound and hosted PBX phone solutions. A powerful management interface combined with advanced call centre technology that includes IVR, ACD, queues, screen pops and skills-based call routing, provides a level of control that elevates call centre productivity for a direct effect on your bottom line. Real-time reporting allows you to track both the status of every staff member and the important activity in every queue, including service levels, call volumes and more. The outbound call centre module combines a range of powerful dialers, including preview, predictive and power dialers with full call recording and scripting tools, to optimise your outbound telesales, collections or telemarketing. RECITE is an award-winning interaction recording suite from Numonix that helps you boost your business success and ensure compliance. RECITE delivers unique insights into your employee-customer interactions by capturing content from multiple media modalities, including voice, video, screen and chat/IM. The platform is fully compliant with regulations, including PCI-DSS, HIPAA, BASLII and more. And is one of the only interaction recording solutions compatible with Skype for Business.